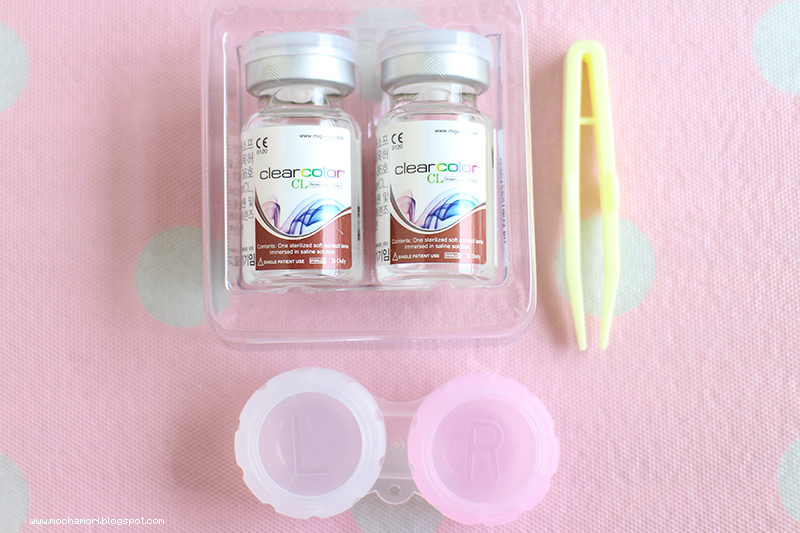 This time I'll be reviewing on "Clear Color CL 002 Brown" and "Bunny 4 Color C25 Green" that were kindly sponsored by Klenspop! The packaging came in a really pretty box that was nicely bubble-wrapped! There are instructions on the back of the box and also a leaflet regarding information and steps on how to wear contact lenses! Very useful especially to those who are new to wearing circle lenses. It also comes with a case for you to store your lenses and a tweezer! I love the tweezer they provided as I have long nails and this helps to avoid damaging my lenses while picking them! Extra hygiene as well! These lenses took about 1 or 2 weeks to reach me, duration varies on your location! The design itself is really simple and neat! 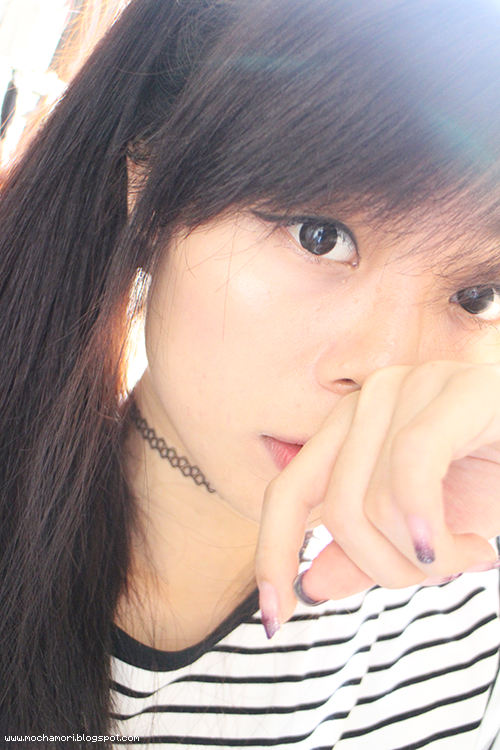 The close up of these lenses look like little brick cracks but they don't show well on my dark eyes when worn. 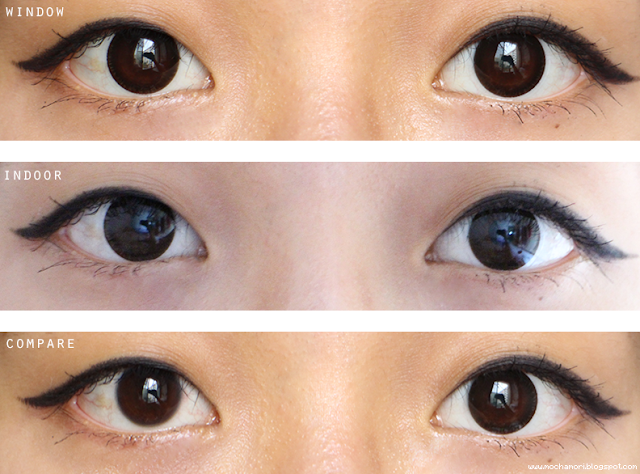 The design will probably stand out more on lighter eyes in my opinion! 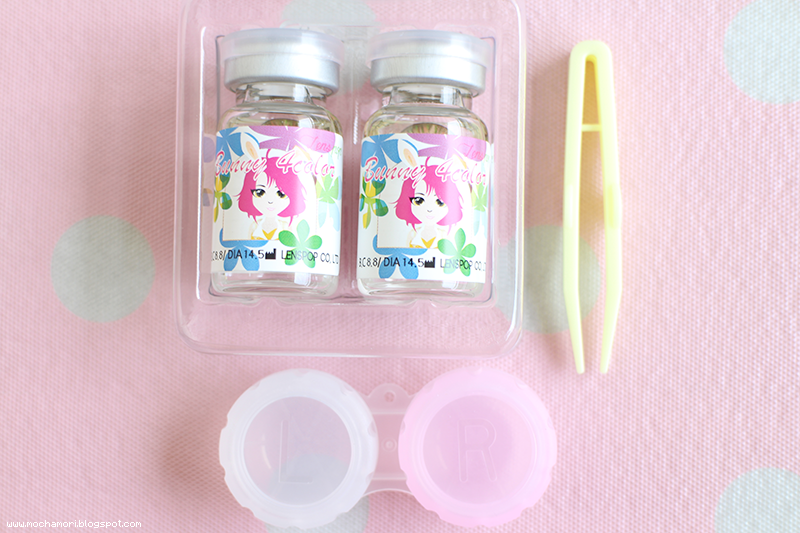 What I like about these lenses is that even though it is simple and not noticeable, they make my eyes look more fresh and dolly looking which I think is pretty cute! Very comfortable! 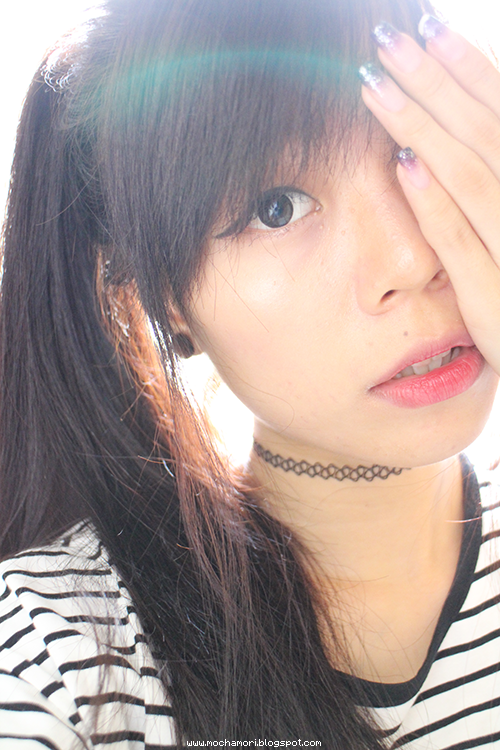 No discomfort for me and it felt like I wasn't wearing any lenses at all! 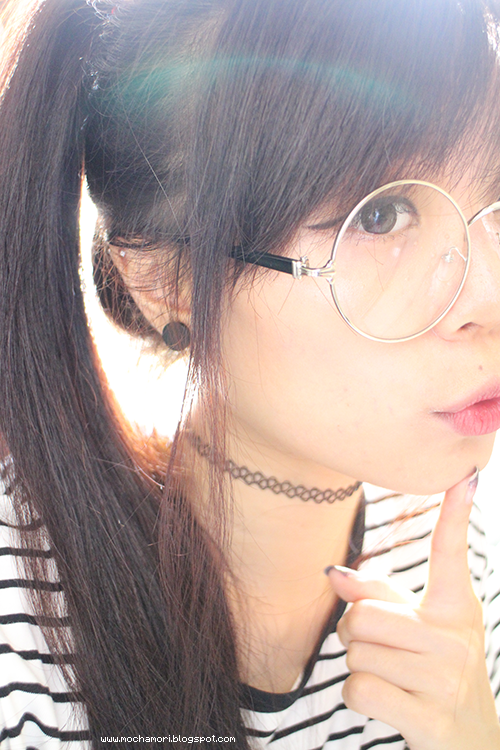 These are definitely not on the enlarging side for lenses! They do enlarge by a really really small amount because of the dark colours but not very noticeable. 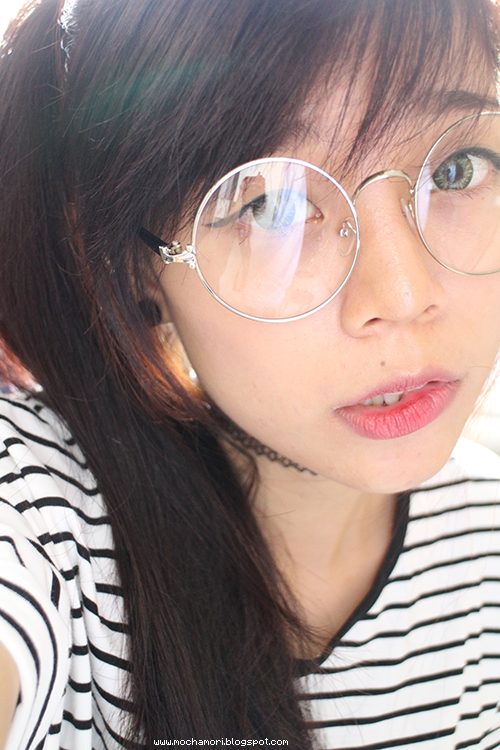 People who do not want their eyes to enlarge but still look awake should go for these! 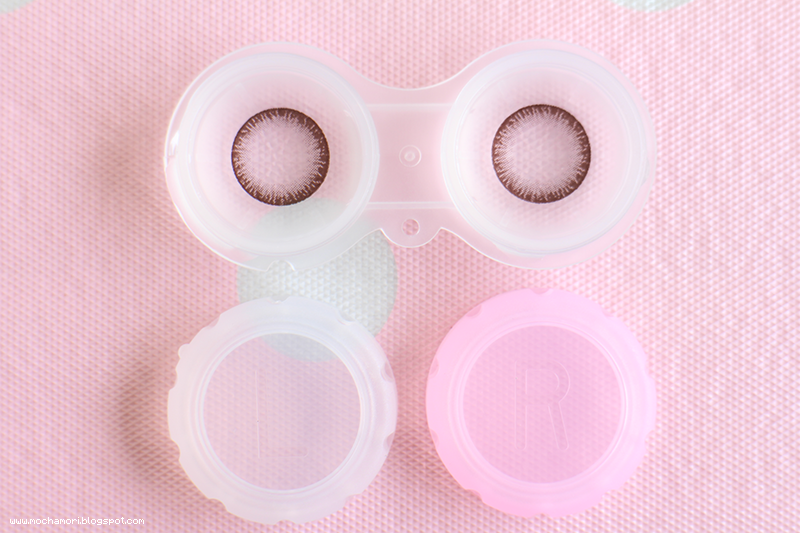 Even though these are not enlarging and the design is really simple, I like how it still manages to blend well with my eyes and make them appear more dark and dolly looking! 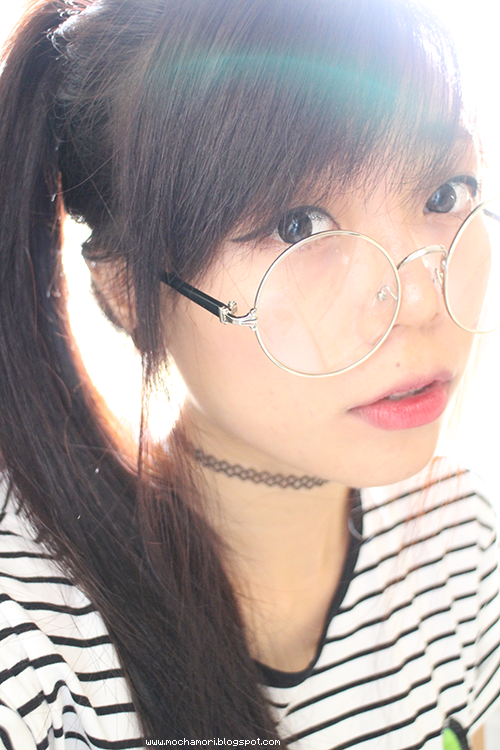 I paired them with my circle glasses to give off a school look since I think they're really suitable for simple school looks or any other look that you want to appear more soft and neat! You can check out their page and find Clear Color CL 002 Brown at Klenspop! 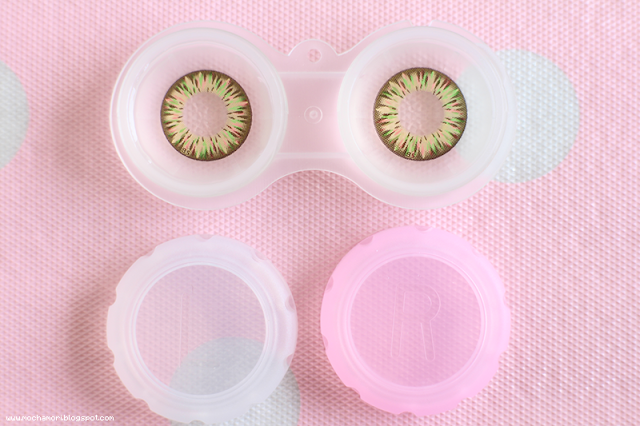 The design of these lenses are really really pretty! When I first got them out of the package I was like wow, they literally look like a burst of fireworks. 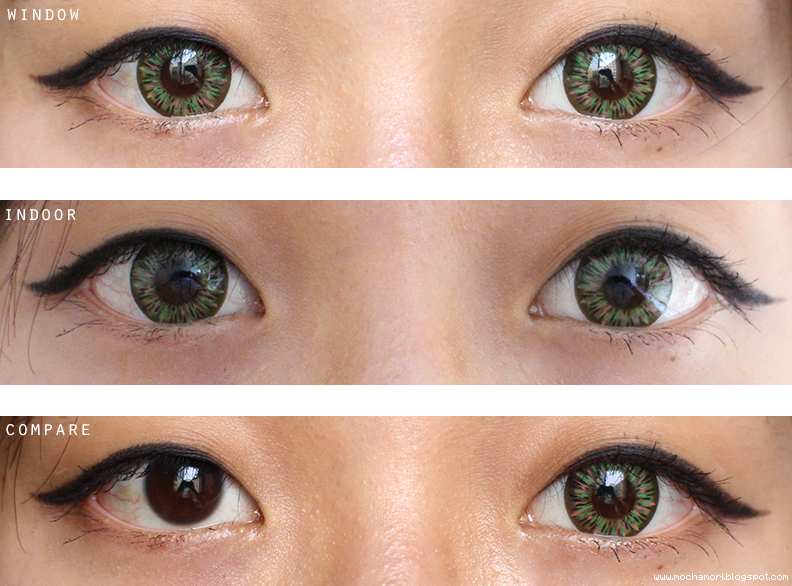 After trying them on, the colours are very vibrant and opaque, I felt like a chameleon! They give off this really cool effect and somehow make me look kinda fierce aha but I like that! 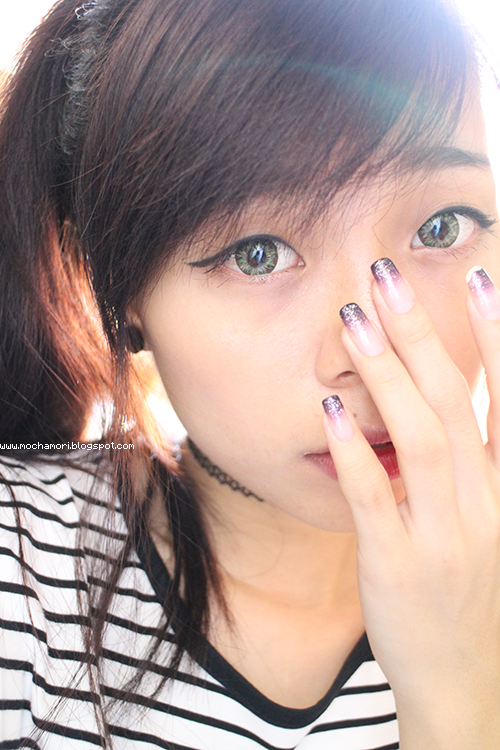 They appear on my eyes sooo well and the colours still can be seen even when indoors, really impressed with these! No discomfort! 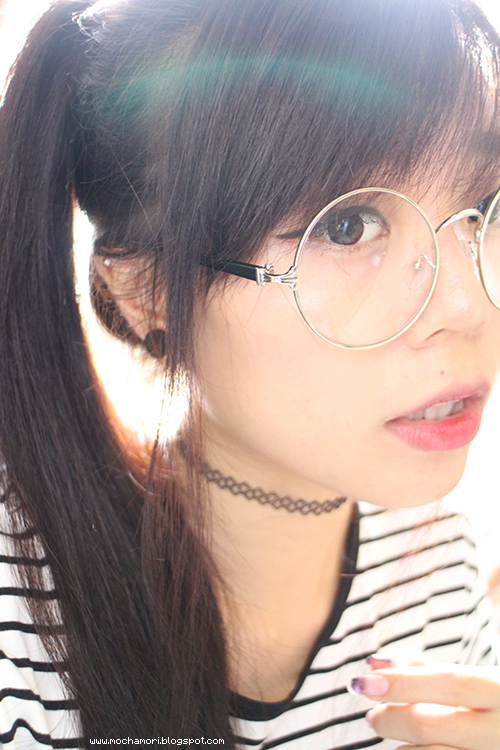 Even though they're really big in size, they still sit well on my eyes and don't shift around! The enlargement is very noticeably hugeee! 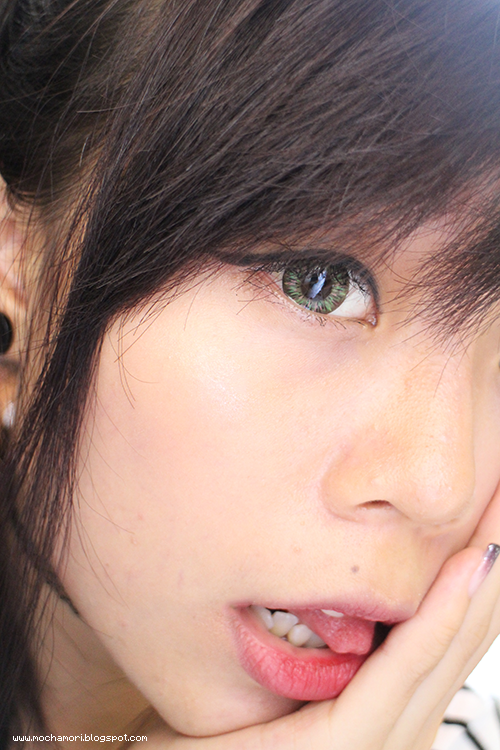 These are 14.2mm in size so they make my eyes look so big and anime-ish, perfect for people who want enlarging green eyes. 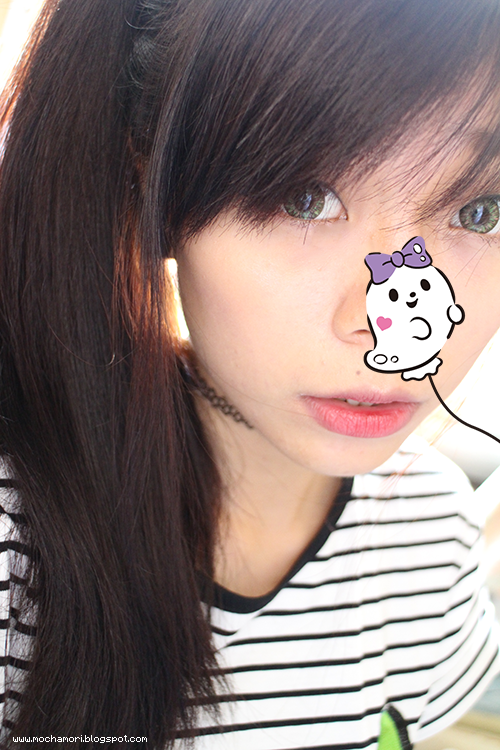 I personally prefer lenses that are on the enlarging side as my iris's really small eheh. These make my eyes pop and I just feel extra good with them! I really like how they look and it's just unique looking! 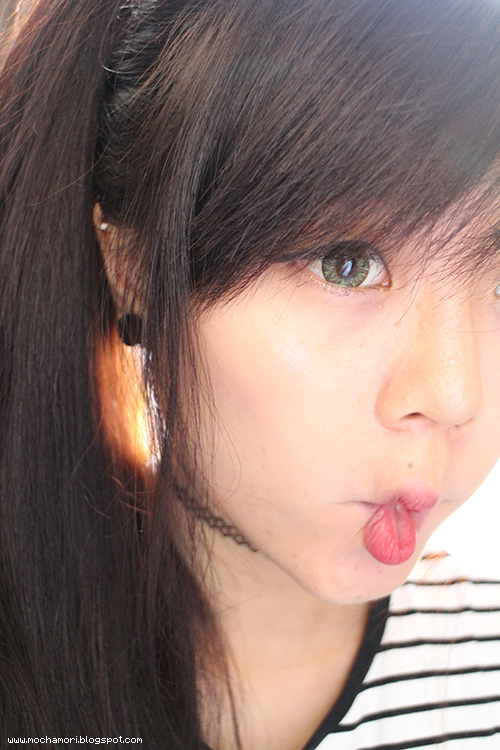 The combination of the colours make your eyes look so cool and I just like how the lenses look so vibrant itself and also as vibrant when you have them on your eyes! 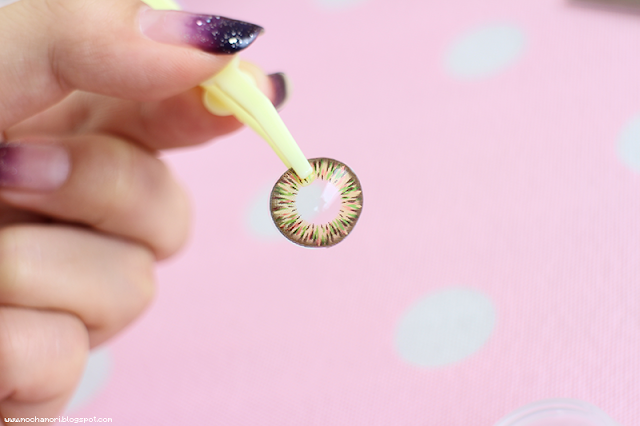 Some lenses might have fancy colours but once worn, the colour fades into your eyes and is no longer as bright, but the colours for these sure stayed! You can check out their page and find Bunny 4 Color C25 Green at Klenspop! Thank you for reading my reviews once again!